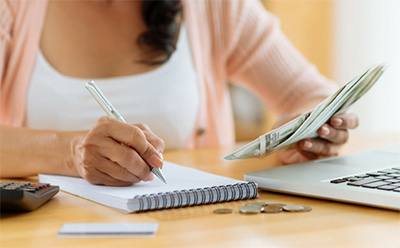 These are notes on budgeting that I hope can help you with your budget. -The main problem. I get invited to people's homes. Single, married, married with a child, married with lots of children. I look around me. Holy Moses. Jesus Christ. Allah Akbar. Oh my Buddha! Books. Tablets. Smartphones. Televisions. Satellite dishes. Board games. Books. Lots of books. All sorts of musical instruments. Laptops. Desktops. Video game stations. Closets full of clothes. Fridges full of all kinds of food. Beer fridges. Wine caves. Cosmetics. Accessories. Fishing equipment. Sports equipment. Memorabilia. Decoration items. We need to talk. -Where do you find the time to do all of that? Let me help you with this. I read lots of books (free books) and listen to lots of music (free music). I read the press. Free press. That's all I have time for. I have a musical ear and can tell if someone messed up a note, but don't have time for musical instruments. I don't have time for television. I don't have time for board games. I have enough shoes and enough clothes, and buy just enough food that I can eat. I don't have time for tablets and smartphones, and play lots of free online games when I have time. Which leads me to some advice. -When you go shopping, choose smaller supermarkets over large retail stores. Choose quick-e-mart over Wall Mart. The big retail stores know how to make you spend your money. They display stuff in ways that make them look cool. They display fishing boats you will never need with large billboards showing incredibly handsome people enjoying fishing. They show golf equipment and have incredibly handsome and happy-looking people playing golf. And they tend to bump up the prices as well. If you go to smaller grocery stores, groceries may be a little more expensive, but at least you won't be tempted to buy golf equipment that costs a fortune and that you will never use. Also, the fact that grocery stores are more expensive will tend to limit your spending compulsions for food. You'll just buy enough food, detergent and hygiene equipment. -Social media surgery. I don't have a Facebook account, don't have an Instagram account, don't have a Twitter account, and am a ghost in social media. There's a reason for that. First, you see people post pictures of closets full of board games, and you go to a board game store and binge on board games you will never play. You see a friend in a fishing boat and buy a fishing boat you will never use. You see a friend backpack around Europe and you quit your job so you can backpack around Europe. You see a friend own two smartphones and you buy a second smartphone. Not to mention all those advertisements. Social media will make you broke in indirect ways. -Advertisements. Do you notice when they advertise toys and there's a room full of them when they're just advertising one toy. Or they're advertising beer and there's a fridge full of beer. Or they advertise musical instruments and there's a room full of them. Or tissues and they come in all shapes and sizes in the advertisement. The idea is the smaller the grocery store you go to, the less you will tend to buy. Those small supermarkets are your best bet. -What are your hobbies? Some prefer watching television while others prefer to stay on their computers. People rarely have time or energy to do anything else. Plus owning too much stuff will distract your kids from doing their homework. -Going out and eating out. I tend to reject invitations to go out with a group of friends I don't know very well. My good friends know I like that cheap but very tasty restaurants, or that pub where you can drink beer at a ridiculously low price. I tend not to trust people I barely know, as they sometimes choose very expensive venues for food and drinks. I tend to focus on conversation, not expensive food or luxury drinks. -Traveling. There's nothing special about traveling except that you get to see all kinds of different people and places and that you tend to get constipation. Traveling is like drinking. You start off with one beer, you end up emptying two six packs. Traveling works the same, you visit one place you end up wanting to visit the rest of the world. -Transportation. You tend to take taxis when you travel to places in your town that are not very familiar. Avoid going to places in town not too familiar, and try to stick to familiar places. -Bills. Make sure the water is not leaking. Soak your dishes before you wash them. Shower in the morning as soon as you wake up and/or just before you go to sleep, when you're exhausted. Make sure enough clothes pile up before you wash them. In the winter, stay together with your family in one single room as much as possible, that'll save gas and electricity. Read the newspapers while your kids are doing homework and your spouse does some other activity. That way if kids have questions about homework, you can help them. Save phone calls for the weekend, they tend to be more efficient and people tend to hang up faster. -And finally, spend lots of time having conversation with family or invite friends over for food and conversation. They say conversation is free.